The nearest train station to the town of Phrae is in Den Chai, which is 27 km away from Phrae. By train the journey from Bangkok to Den Chai takes 9 to 10 hours. There are frequent shared taxi services from Den Chai to Phrae. There are 7 direct trains per day from Bangkok to Den Chai. The fastest train from Bangkok to Den Chai is Train #7 departing at 08:30, which is scheduled to complete the journey in 6 hours 53 minutes. The slowest train from Bangkok to Den Chai is Train #109 departing at 13:45, which is scheduled to arrive 9 hours 54 minutes later at 23:39. We recommend booking either Train #107 or Train #51 as you arrive at Den Chai at a time when there are plenty of connecting services from the train station to Phrae town. 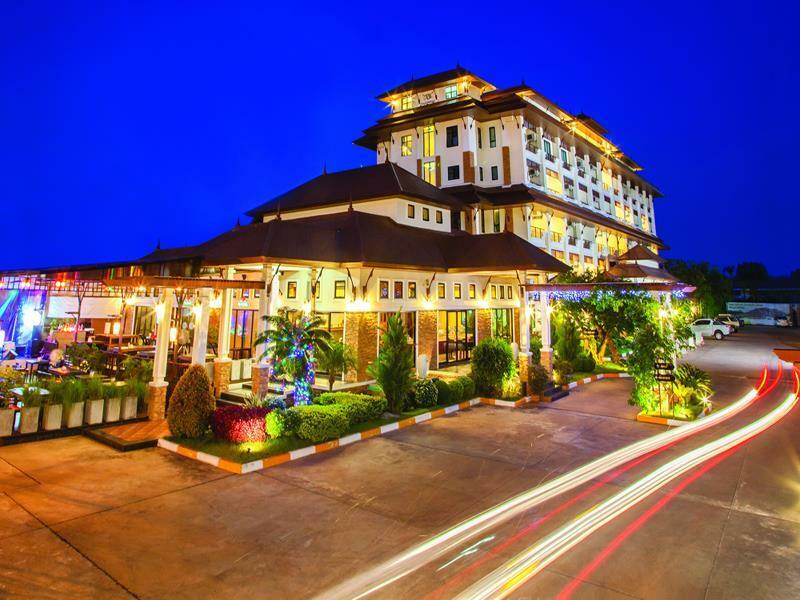 There are places to stay for the night in Den Chai, however, most visitors will find that staying Den Chai for the night is less interesting than staying in Phrae. Train tickets purchased on online for the Bangkok to Den Chai route cost 140 to 250 THB more per ticket than purchasing the same ticket at a train station in Thailand. 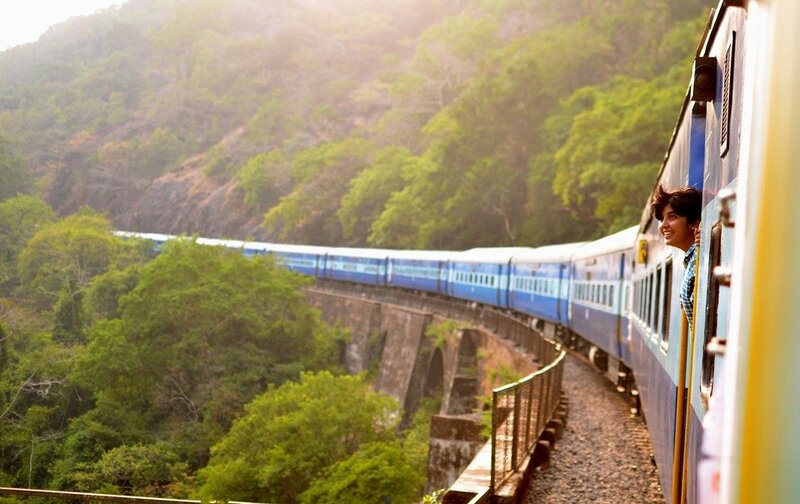 Paying more to book your ticket online, available for collection in Bangkok before you travel, is a good idea if you do not have an opportunity to visit a train station in Thailand a few days or weeks before you travel in order to buy a ticket directly. 1st and 2nd Class Sleeper berths are very popular and they tend to sell out well before the day of travel, particularly at busy times of the year during such as during the tourist high season and pubic holidays in Thailand when traditionally Thai people like to travel home to spend the holidays in their home town or village. If you plan to travel around the time of the Songkran festival (middle of April) you generally need to book a month or more in advance. Bangkok Train Station is easily accessible via Bangkok’s underground metro system, the MRT. The stop you need is Hua Lamphong MRT station. If you plan to take a taxi to Bangkok Train Station bear in mind that the traffic around the train station, which is located in the busy China Town area, becomes very congested from around 17:00 every day which is the start of a 3 to 4 hour period during which traffic moves very slowly. For this reason if you plan to travel from the Sukhumvit Road to the train station by taxi that we recommend you ask the taxi driver to take the Express Way which will cost you an additional toll fee but cut around 30 minutes off your journey time. Bus services are Den Chai train station to Phrae are infrequent and the most popular way to complete the journey is by shared songthaew taxi. A songthaew taxi is a converted pick truck with two rows of seats in the back and a metal cover. Songthaew taxis ply fixed routes and charge relatively little compared to a normal taxi. To catch a songthaew taxi on arrival at Den Chai train station simply exit the station via the front entrance and approach one of the songthaew taxis and ask for Phrae. If your train arrives during daylight hours then there will always be one or more songthaew taxi waiting to take you to Phrae. If you can tell the driver a specific location, for instance a hotel, where you would like to go that will make life easier for you and the driver. If not then simply ask for the bus station and walk to your next destination from there. You need to agree a price before you set off. Songthaew taxis have a fixed pricing scale, however, not all songthaew operators are honest in relation to applying those prices to people who are not local; Thai tourists sometimes get overcharged as do foreign visitors. Expect to pay 40 to 50 THB for the journey from Den Chai to Phrae, but if you get charged a little bit more its not worth arguing about.